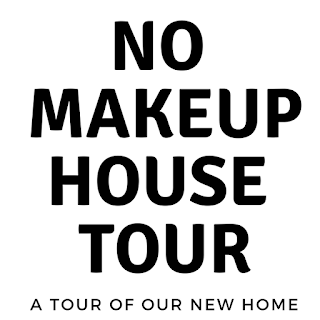 When we started house hunting, I was really drawn to the idea of a fixer-upper. I'm not afraid of getting my hands dirty and I have a lot of experience with random things like putting up drywall, using various saws, and laying tile. Our house was listed as "move-in ready," which from a real estate perspective is true. 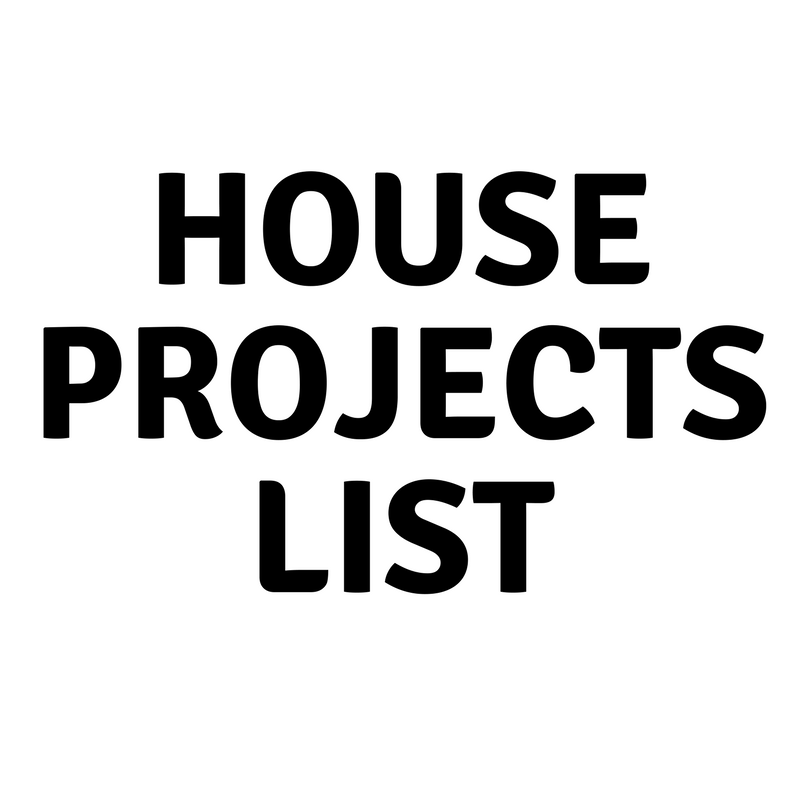 That's not to say though that there isn't a long list of projects that need to be done. 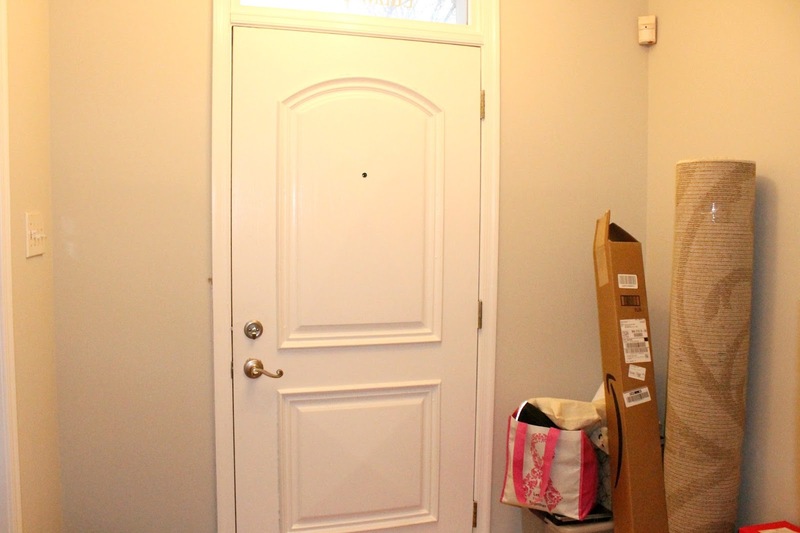 Some are bigger than others and some are unexpected projects that have come up since we moved in but here's a full list of everything we're hoping to tackle in the house! A few weeks in, I have to say, I'm so happy we didn't get a fixer-upper! There's enough to tackle in our house that I'm happy to not have to install new doors throughout the entire house! 1. A full kitchen renovation - I really hope we can make this happen this year but I know what kitchens cost. I've hated every kitchen I've ever had so it's super important for me to have a kitchen that I love. Right now, I definitely don't love our kitchen. I'm not a fan of butcher block countertops and honestly, I could take or leave the farmhouse sink. Even aside from that, the cabinets were repainted with flat paint as opposed to semi-gloss paint, so while they photograph well they don't look very good in person. Luckily, the appliances are all new and the layout is perfect so we aren't looking at a total kitchen overhaul. Inspiration. 2. A new pantry - Our pantry has an organizing system but it's rotting and needs at least one other row of shelves. Plus, the walls inside are really scuffed up and need a lot of spackle so I want to take down the whole system and put in one that's a little more functional. Inspiration. 3. Remodeling the bathrooms - All three bathrooms are in rough shape. They have horrible linoleum floors, bad lighting, vanities that are falling apart, and one of them is missing a vanity mirror. I also want to pull these fixtures down ASAP! Inspiration. 4. Built-in Bookshelves - This is literally my dream. The first time I saw the house, I said that this back wall in the living room needed serious help. I can't wait to tackle built-ins and be one step closer to my dream of having a Beauty & the Beast style library in my home. Inspiration. 5. Installing a fireplace mantle and giving the fireplace a facelift I think adding the mirror helps but this little wall has so much potential! 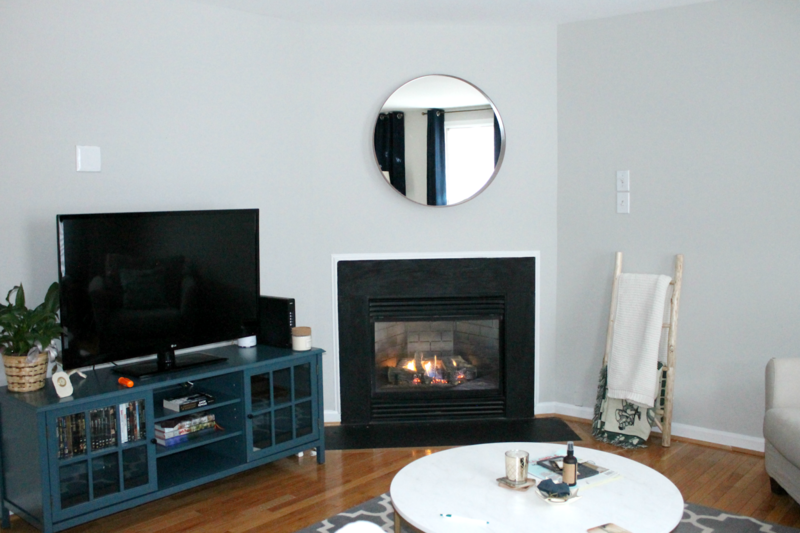 The DIY Playbook recently featured a story on Instagram in which they gave their fireplace (which looks a lot like mine!) a makeover. It definitely gave me the confidence I need to do the same to ours without worrying about melting anything! Inspiration. 6. Exposed brick in the office. - Most Baltimore (and DC) row houses have exposed brick and I'm a little disappointed that ours doesn't. Luckily, I can easily change that! How great would this space look with the back wall done in brick?! Inspiration. 7. Remodeling the laundry room - For better or for worse, we've already started this project. When we moved in, our washing machine was full of black mold and nothing would get it clean. We tried having the gasket replaced but the machine was too old, so less than a week after moving in, we had to replace the machine. Luckily, we were able to get a good deal since it was the end of the year! The laundry room had the same linoleum as the bathrooms so, once we got the machines out, we tore that up and laid new flooring (it was NOT as easy as that sounds). While I love the new flooring, I realized that the paint color doesn't look right with it so we're going to repaint the laundry room and install a chandelier that drops down to replace the fluorescent lighting and remedy the horrible lighting in the room! 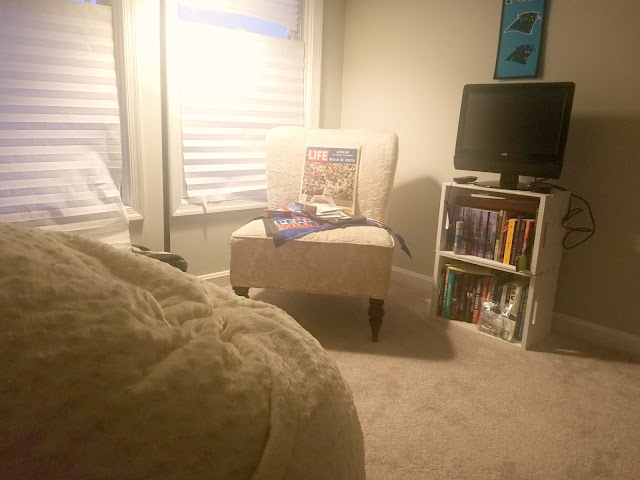 When I come home from work, this is usually the room I come in through so I really want this room to feel homey! Inspiration. 8. Fixing the doors - The weatherstripping on our front and back doors was completely painted over, ruining it. Unfortunately, new weatherstripping hasn't helped keep the temperature on the first floor at a reasonable level. Not only is this horrible for our heating bill but we can't even stand to be there. I have to wear my winter coat just to do laundry! I think we need to start with storm doors to hopefully keep some of the cold air out! 9. Painting and staining the stair rails - I am not a fan of oak. I don't know if I want to stain the banister and paint the rails or if I want to stain the whole thing. I'm leaning toward the former. What do you think? Inspiration. 11. Replacing all light switches and faceplates - This is a super annoying project. When we moved, almost all of the outlets and faceplates had been painted over. The ones that hadn't, are just really grimy. This was one of the first things I wanted to take on but I haven't managed to do it yet. 12. Seal the hole above the television - There's a giant hole behind this faceplate that was supposed to be sealed before we moved in, but we ended up with this faceplate instead. I bought some wire mesh that I'm going to patch it up with and then spackle and paint it. Then, I'm going to hang some frames around the TV to give the wall some color! 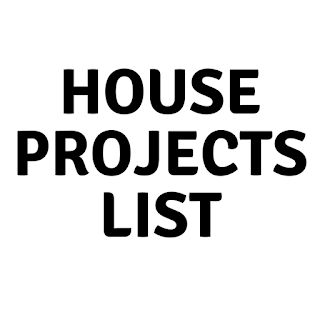 I consider us really lucky that aside from the washing machine and the doors, these are all cosmetic projects that will just help make the house feel more like our home! It's a long list but I think we can manage all of these this year! As we're making progress, I'll share before and afters and projects on my blog! 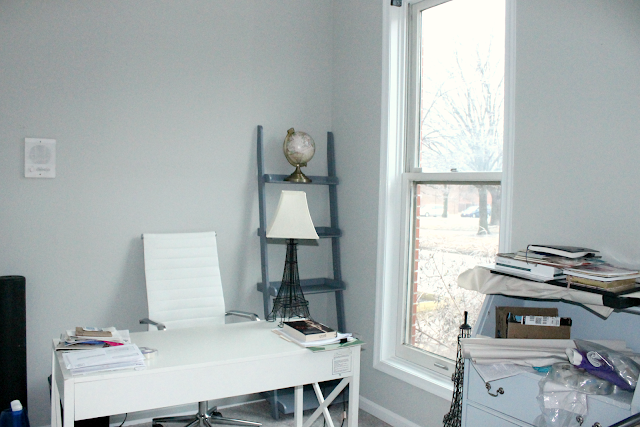 I think the first things we're going to tackle from this list are the outlet covers, the fireplace, and the office! If you own a home, what were some of the first projects you did in your house? This weekend, amidst finishing unpacking (I'm so close! 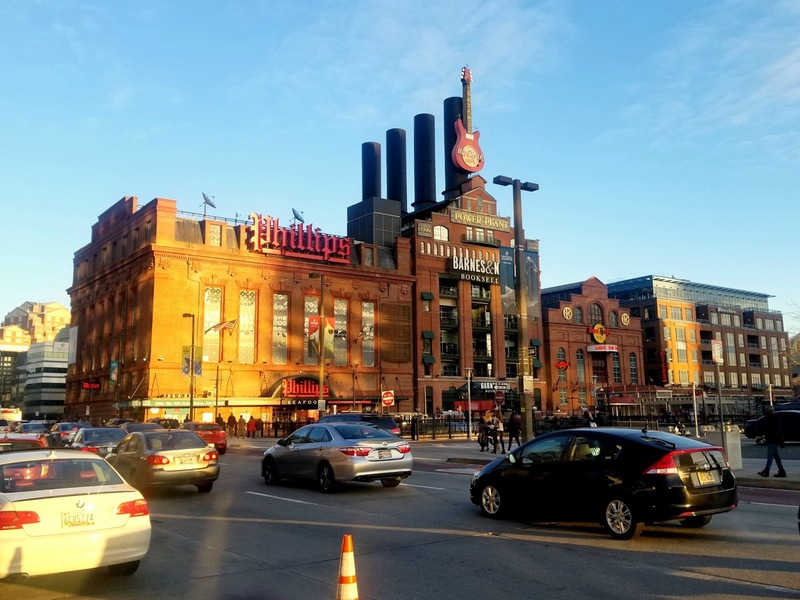 ), I finally got out to explore a bit of Baltimore! Saturday afternoon, my friend Alicia and I met up at the Bromo Seltzer Arts Tower for a tour of the clock tower. 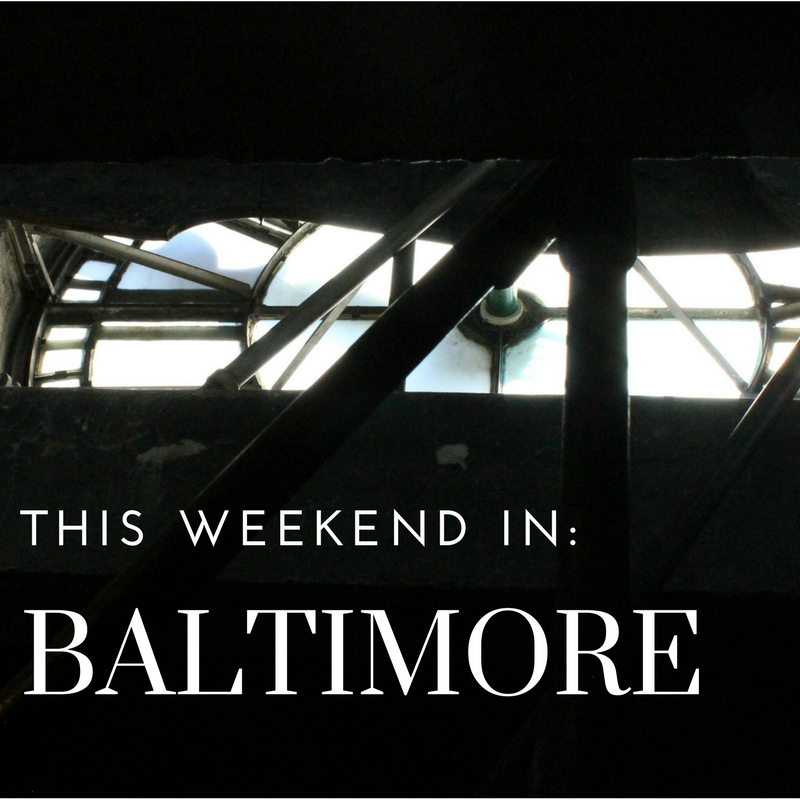 Formerly the tallest building in Baltimore, the tower was a factory that produced Maryland's famous cobalt glass and Bromo Seltzer. Today, the tower is a 15-story art gallery with rotating exhibits. We went because I wanted to check out one of the new art exhibits that had just opened but the tour was fascinating. 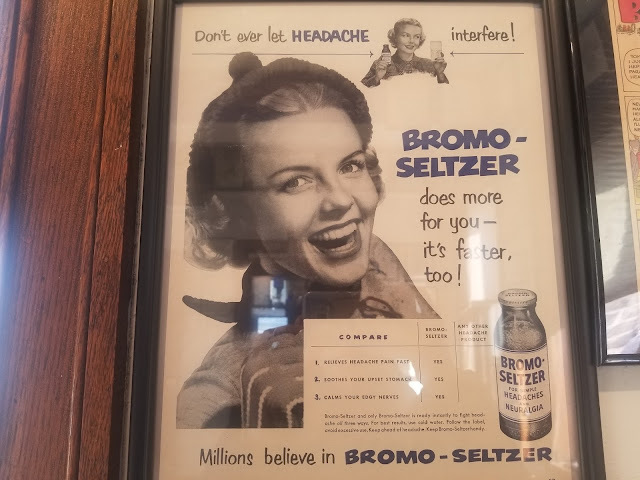 The "tour" is really just a presentation about the history of Captain Emerson, who created Bromo Seltzer, a visit to the museum where you can see all of the old marketing materials, and a visit to the clock tower. Honestly, this was the best part. 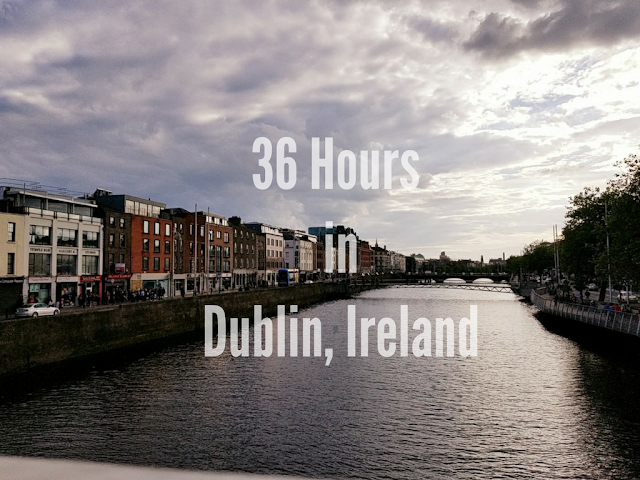 I found the information fascinating and loved visiting the clock tower! After lunch, we wandered down Pratt Street, doing a little bit of shopping and then went to Barnes & Noble because I am addicted to books. 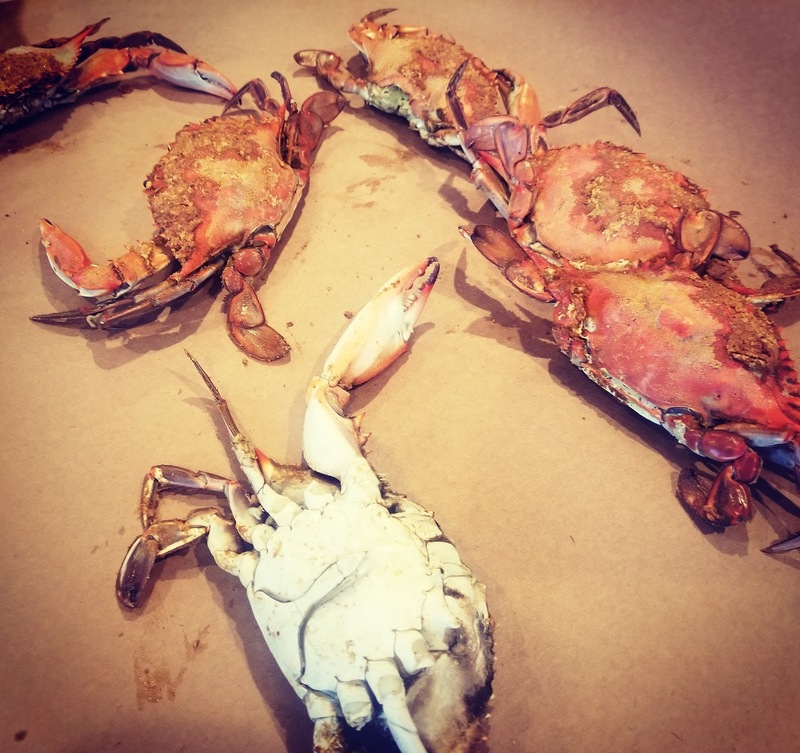 Sunday, one of my friends was in town for the Super Bowl and invited me to come out to lunch at L.P. Steamers, a Baltimore institution in Locust Point, where I had my first whole crabs. There were 5 of us and we ordered a "Boh't Load of Food," which included about half a dozen steamed crabs, clams, mussels, oysters, scallops, shrimp, and a Lobster tail with a pitcher of Natty Boh for less than $60. Oh and all of that seafood came with about an entire container of Old Bay dumped on top. It was amazing. I would have taken more pictures but the crabs came first and my hands were soaked in crab meat and Old Bay. (I didn't hate it.) 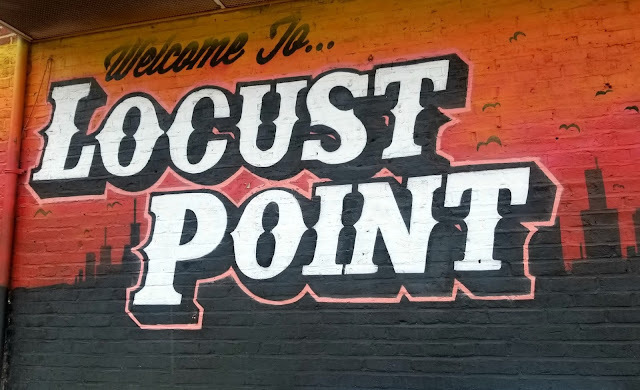 If you like seafood and you're in Baltimore, this place definitely shouldn't be missed. 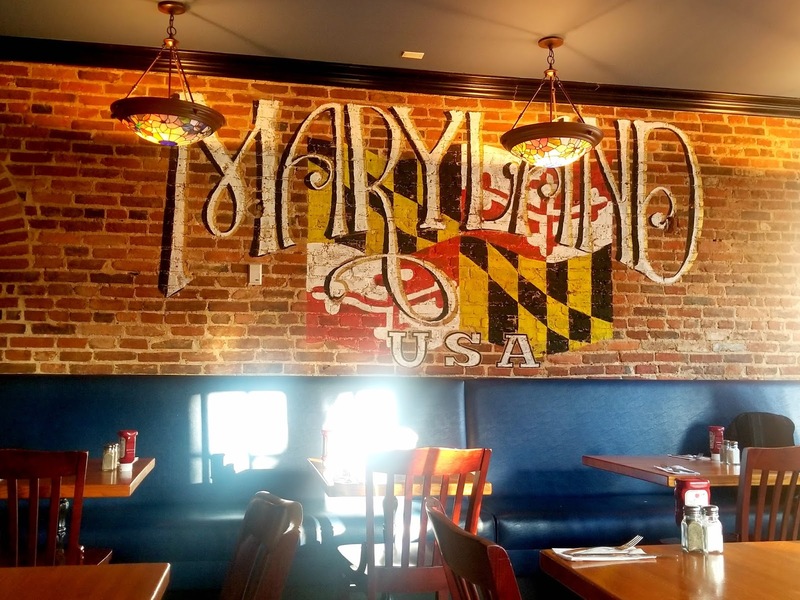 I wouldn't skimp on the Old Bay fries or the hush puppies either! It was a really fun weekend with lots of crabs, old friends, new friends, and finally getting out to explore the city a bit! I'm almost done unpacking (just need to hang stuff on the walls! ), so our house is starting to feel like home, and, after this weekend, Baltimore is starting to feel like home! I can't wait to get out and explore more! February isn't really a great month. It's usually the coldest month of the year. January always seems endless and March offers the promise of a little bit warmer weather, so February just kind of makes people miserable. Since February is my birthday month though, I always try to make the month a little bit brighter! 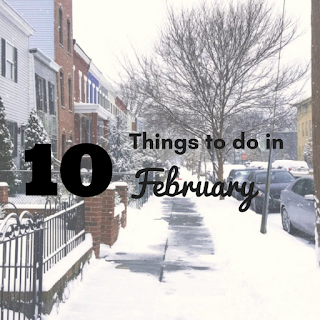 So, here's a list of fun things to do in February to make the month a little sweeter! Go to a new museum. Or see a new exhibit at an old favorite! It's freezing outside and the temptation to stay inside is high. Brave the cold and go see something interesting! Clean out your medicine cabinet. When we moved in December, we got rid of a lot of stuff. One thing I did, was to clean out the medicine cabinet. You guys, seriously, do this. I had prescriptions in there from 2011. Please don't keep those muscle relaxers around in case you need them one day. I don't think taking expired meds is a good idea. Give aValentine's gift for someone special to you. I'm not talking about your significant other. Treat that coworker who is the only thing you like about your job, or the friend who has gotten you through everything, or even your Mom. Add some conversation hearts (actually, don't. Those are gross.) or chocolate to make it festive. Buy yourself some flowers. They make your house look nice and are a nice contrast to the dark, dreary winter days outside. Have an unplugged morning. Wake up, lay in bed, read a book. Make yourself some pancakes. Make it a rule not to turn on your phone for at least 4 hours after you wake up. I dare you. Send someone a birthday card. Make something entirely homemade. Pizza from scratch, homemade cinnamon rolls or pretzels, anything. This might be the month I finally try macarons again. Read a book by a black author. It's African American History month! I have yet to read anything by Ta-Nehisi Coates, so I'll either read something from him or Zora Neale Thurston. Or maybe both, why not? Need some recommendations? I highly recommend Alice Walker or Toni Morrison. "Homegoing" by Yaa Gyasi is hands down one of the best books I have ever read in my life (if not the best). I highly recommend it on Audio. These lists have some great recommendations. Also, Megan is posting one book a day that she's read and loved by a black author. Try to have a perfectly hygge night.